Charles “Chuck” Poettker served with the 101st Airborne Division during the Vietnam War in 1971, and like many veterans returning home, he needed a job. He followed his brother Dan into carpentry, working 10-hour days, and then attended night school at Belleville Area College (now Southwestern Illinois College) to study construction management. It wasn’t long before he decided to invest that time and commitment into his own company. Breese, Illinois-based Poettker Construction started in the summer of 1980, first building commercial and light industrial facilities in Illinois with a few employees. 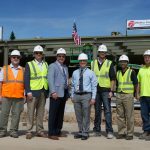 More than 30 years later, Poettker Construction works in a variety of industries, including health care and education, serves clients in 24 states and employs 124 full-time workers. It recorded $121 million in revenue last year, up more than 267 percent from 10 years ago. Current projects include: the $30.9 million Jefferson Barracks VA engineering warehouse in south St. Louis County; the $8 million Children’s Learning Adventure in Ellisville; the $12.5 million Menards in Farmington; the more than $20 million McKendree Metro Rec Plex in O’Fallon, Illinois; and the $9.5 million HSHS St. Joseph’s Hospital outpatient surgery addition in Breese. 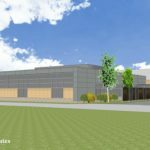 Poettker Construction counts Ameren, Menards, Army Corps of Engineers and other federal agencies, Planet Fitness and Walmart, for whom the company has constructed more than 180 stores in 13 states, as repeat clients. The Poettker family takes “care of people, they don’t take advantage of them,” said USI Insurance Services Senior Vice President Dennis Lutz, who wrote the company’s first bond in January 1981. The variety of clients ensures the company does not become dependent on one industry even as it struggles with finding and retaining talent from a shrinking candidate pool. President Keith Poettker, Chuck’s son and successor, said the decline in skilled workers is due to years of pushing people to attend universities and instead of encouraging trade work. Now in its second generation of family ownership, the company employs 11 family members. 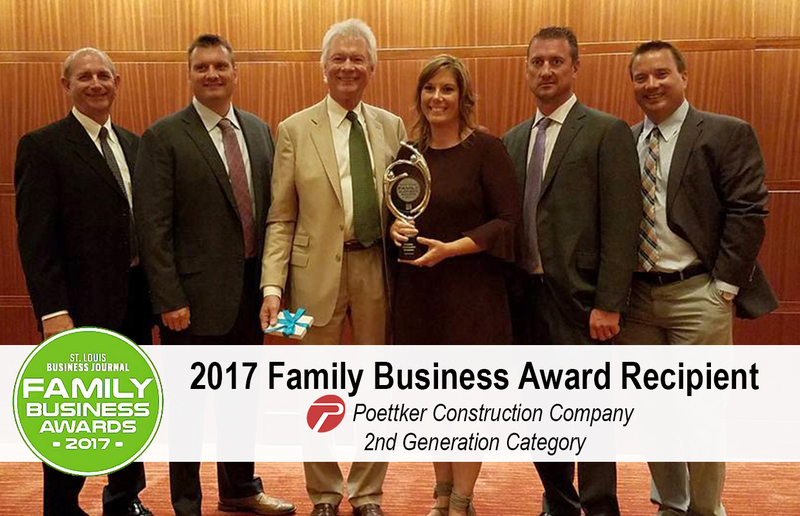 His siblings all work in different departments — Kimberly Luitjohan in finance, Kevin Poettker in business development and Ryan Poettker in project management — and Lutz said the siblings’ varying niches strengthen the company even more. The company is currently developing its succession plan, Keith Poettker said. The company prides itself on its culture of professionalism and respect, values that Chuck Poettker said he learned and inherited from his parents. “We provide coaching for people that might need some help to adapt to culture and figure out how their character can fit in,” he said. “The big thing is communication, good values corporately and personally,” Lutz said of the company’s longevity. Added Keith Poettker: “We’ve got a lot of longtime employees that we consider part of the Poettker family” — including Tom Albers, now vice president of field operations, who was the company’s first employee in 1980. Within the community, the company has supported Big Brothers Big Sisters of Southwestern Illinois (Kevin sits on the board), HSHS St. Joseph’s Hospital in Breese (Kimberly served on the 2016 Leadership Council), the Boy Scouts of Greater St. Louis and Community Link, an organization that provides services for children and adults with developmental disabilities.